Home / Articles / 2004 / Readers' Choice Awards 2004: Who supplies you with the best? Cryovac Food Packaging div. of Sealed Air Corp.
Who keeps your ovens hot, your conveyors rolling, your stabilizers stable? Who makes plant calls at night and on weekends? Better still, whose products are so good you've never had to call customer service? For the second year, we posed those questions to the people who should really know: our readers. These are the folks who formulate the foods. They responded with clear answers on who are the best suppliers of products and services for the food processing industry. The electronic survey was sent in November to selected subscribers of Food Processing, who said they had the authority to specify, buy or recommend the products and services listed. Suppliers are not eligible to vote. The ballot was an unaided recall survey, meaning we listed only the 44 categories you see here and asked the recipients to supply names. No supplier names were listed or suggested. We received responses from some 300 readers. Responses came back from all categories within the food industry: bakery, beverages, confectionery, dairy, fruits & vegetables, meat, poultry & seafood, and all further-processed products. Likewise, all relevant job functions were represented, from management to plant operations to product development. 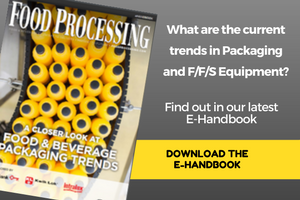 We still break the survey into three broad categories: ingredient, processing & packaging, and equipment & services. But since this is only the second year of this survey, we're still tweaking it a bit. We rewrote several of the category names, which makes precise comparisons to last year's survey and its winners difficult. Nevertheless, some of the 2003 winners reappeared. For instance, Archer Daniels Midland, which won several categories last year, topped the Fats & Oils and Grains categories this year. Givaudan and Wild Flavors, numbers 1 and 2 respectively in last year's Flavors/Technical Service grouping, were tied atop this year's Flavors-Beverage category. McCormick, which came up several times in last year's survey, topped the Flavors-Savory category. Danisco, which tied for first in last year's Specialty Ingredients-Technical Service group, now has both Emulsifiers and Stabilizers all to itself. It's worth noting that in the ingredients categories there were no runaway winners, with more than twice the votes of the next contender. However, there were several in the processing & packaging group: Wenger in Extrusion category, Micro Motion in Flowmeters, Safeline in Metal Detection, Urschel in Size Reduction. Urschel, Micro Motion and Wenger also were repeat winners in their categories. There also were runaway winners in the equipment & services grouping: Allen-Bradley/Rockwell in Controls, Stonhard in Flooring, Baldor in Motors & Drives, and Cintas in Uniforms. There was one tie, in Pumps, where Waukesha Cherry-Burrell was in a dead heat with Goulds Pumps. Waukesha won that category last year. Other repeat winners were Overhead in Doors, as well as Allen-Bradley, Stonhard and Cintas. The readers have spoken. Our hats are off to the winners of this, our second annual Readers Choice Awards. But we also tip our hats to the second- and third-place finishers and to every supplier who made at least one customer happy last year.